My son is five years old, and like any mother I want the best schooling for him. I know that doors open for the educated and the alternative in Kenya is likely to be a low-paid, high risk job. Without good schooling, my little boy could end up working 15 hours a day in a hazardous manufacturing job which provides no protective clothing. A job which pays on a daily basis, and provides no medical cover but lays you off when you get an injury and are useless to your employer. This is no far-fetched scenario: 60 per cent of Kenyans live on less than two dollars a day, and formal employment is around 20 per cent. There are no welfare payments for unemployed Kenyans who still have to pay for healthcare, food and other basic necessities. 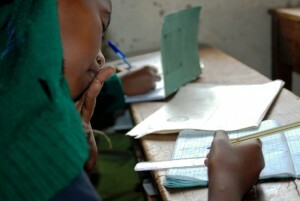 Education is the best safety net against poverty. 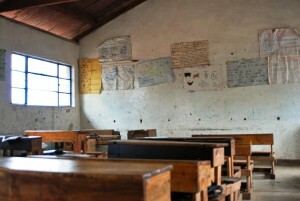 Primary school has been free since 2003, with the help of 19 billion dollars of donations from the UK, Canada, and the World Bank, with the World Food Programme, UNICEF and Kenyan NGOs providing advice, training and support. In terms of enrolment numbers, it has been a great success. Enrolment rates in Kenya are up to 97 per cent, as reported by Elimu Yetu Coalition – a forum uniting all NGOs, government departments and corporate partners in the education sector in Kenya. Less great is that there are now up to 70 children in each classroom and the free primary school fund has been plagued with government corruption. Like many Kenyans of my generation, I am pushing for a more unified society, shunning negative stereotypes about ethnicities other than my own. In a public school, my son would learn with children from different ethnic groups, from richer, poorer and even broken families. But I’ve got serious doubts as to whether a Kenyan state primary school can provide a good enough education to secure my son’s future. I spent two days with Mrs Mmboka, and saw she treated each child with genuine care; from solving fights to listening to stories, she seemed to have eight hands. A firm believer in public education, (she educated all her children at this school) she has little time for parents who want to educate their children privately. “Here we teach, but there [in the private school] it is just a business,” she says, maintaining that private schools drill children to memorise how to answer questions in national exams, and how to speak ‘delicious’ English. But there is little hiding the fact, that large class sizes and teacher shortages are having an impact. 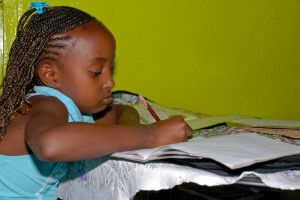 A report the education think-tank UWEZO sampled 123 districts in Kenya, in 2011 and estimated that around 60 per cent of children aged 14 were unable read a simple sentence in a test aimed at eight-year-olds. The net result is that even those Kenyans who are far from wealthy, are opting paying to educate their children privately. Damacline Nyantika, 50, is also not among the wealth; she is a self-employed widow living in Kericho, a small tea-growing area deep in the Rift Valley, west of Nairobi. She does odd jobs, selling vegetables, housekeeping, babysitting and whatever else comes her way. With teachers in her local school coping up with up to 70 pupils in a class, Damacline felt her daughter Gracey, 13, was not getting attention. Public schools are free, and would make her life a little easier, but Damacline is not considering this option, “It may be free. But when you pay for something, you value it more, you take time to make it work,” she says, echoing a sentiment common among poor Kenyans. Of course, education is only ‘free’ because it is paid for through taxation and donor support. The charity Concern Worldwide Kenya supports initiatives to roll out free primary education in Kenya, encouraging people in informal settlements and marginalised rural areas to demand better services in education. 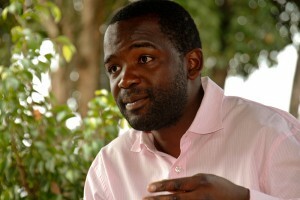 Victor Odero works in their advocacy and communications team and monitors trends in education. He says corruption in the primary education sector is deeply worrying. In the past few years it has emerged that USD 46 million has been stolen from the Ministry of Education, most of it from landmark universal primary education initiative. No one has stepped down from the Ministry of Education, even in the light of these revelations. He believes everything changes when parents, especially the middle class, dare the government to do better instead of taking the easier route out and shipping their children to private schools. A significant chunk of taxpayers’ money is in one way or another channelled into the education system. It is one of the biggest machines set up by the government. It must work. I am one of the middle class who could make the government more accountable. But my conclusion is that I will not take the risk of state schooling with my son. I know they will not give him the best possible education, how can they when money keeps vanishing? I do not want to take him to a public school by day and complement it with private tuition classes in the evening, as many parents already do. He is a child, surely he should play after school? I will work day and night in order to afford a good education for my son. In a few years, I would like the system to have changed, so that my son can enjoy a state secondary school after starting out in the most down-to-earth private school I can find. But since I still pay my taxes faithfully, I will not stop asking questions, whether I get comfortable or not. There is a Kiswahili saying that roughly translates as, ‘if you need something from under the bed, you cannot escape bending’. I believe it is my responsibility, as a Kenyan and as a mother. Very good article. There needn’t be corruption in the system that is the backbone of knowledge in this country. What is education? I believe that parents should take the most active part in educating their child(ren). The parent(s) is / are the childs first teacher(s) and the home is the childs first school. It is the responsibility of the parent(s) to bring up their offspring to be useful members of the society. This education beings at the dawn of reason of a baby. An irresponsible parent delegates this responsibility to institutions, government officials and even other persons. 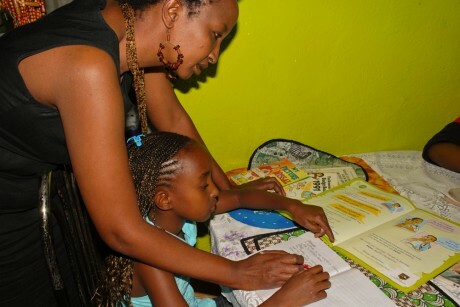 A proactive parent ensures that issues concerning education, discipline etc of their child begins at home. If a parent cannot do this, why does he expect another parent to parent and educate his child for him/her in private school or state school? Why give the other parents a hard time with your child?